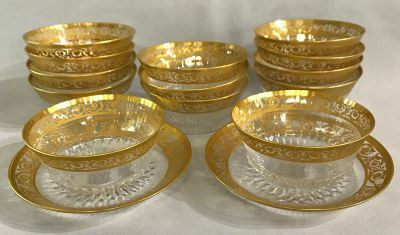 Vintage St. Louis Thistle pattern finger bowls and under plates. Cut and acid-etched crystal, acid etched gold trim. 13 bowls, 4 1/4” diameter, 1 3/4” high. 2 under plates, 5 3/4” diameter.